When Ed Wickes joined Surrey as a member for the first time, the Oval was a very different place. The imposing red-brick pavilion stood alone by the boundary’s edge, spectators had to make do with wooden benches rather than bright white plastic seats and scoreboards didn’t glow through the evening gloom; Laurie Fishlock was the star attraction among the playing ranks and the careers of Alec and Eric Bedser were only just beginning. What a story Mr Wickes must be able to tell, then, of Surrey through the ages. There can be few men or women better placed to do so, given he has retained his membership every year since. At tea on day three here, Surrey recognised his remarkable 80 consecutive seasons with the club in a presentation ceremony on the outfield, attended by his son and grandson. Others, including three gentlemen who have ‘served’ for 60 years in a row and one who has managed 70 successive campaigns, were also honoured. Perhaps it was fitting, then, that a ‘golden oldie’ was the headline act of the day in the middle, too. 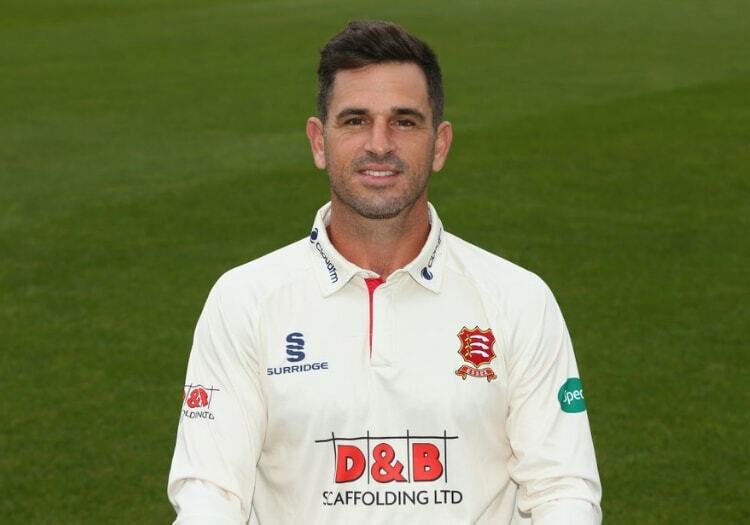 Ryan ten Doeschate might not quite be of the same demographic - in fact when the Dutchman made his first-class debut, Mr Wickes and Surrey had already celebrated their diamond anniversary - but in a season when runscoring seems to be routinely outsourced to whippersnappers, here the Essex captain was, sticking up for an older generation. His century, the backbone of the visitors’ first-innings 448, made sure of a lead which at 20 for 2 on the second morning looked scarcely conceivable. It was typically Ten Doeschate; gritty, hard-handed, commanding and cool. 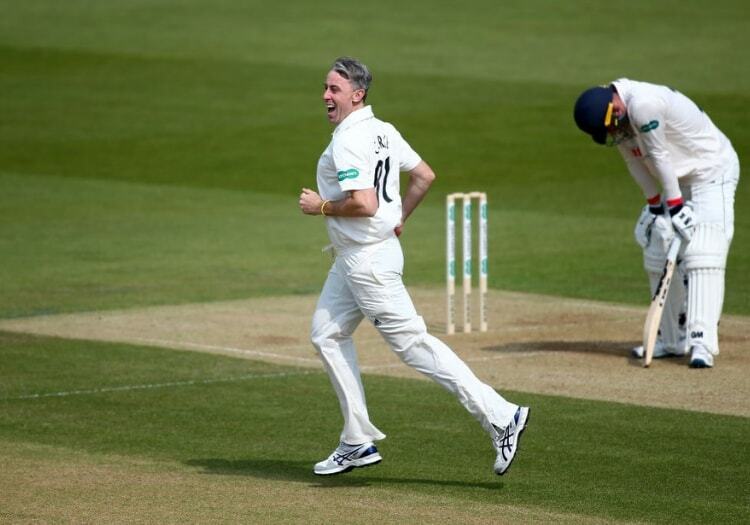 He bullied the spin of Freddie van den Bergh, refused to budge in the wake of Surrey’s Test-match seam attack and corralled the lower middle order like the seasoned field-marshall he has long since proven himself to be. When Dan Lawrence fell seven runs short of his own century, fending forwards at Rikkie Clarke and finding Rory Burns at slip, the captain made sure the innings did not falter. When Ten Doeschate finds rhythm like this, he becomes a mighty complex equation for an opposition skipper to solve, as Burns quickly found. Cutting and driving with acute timing and that stinging flick of the wrists, the 38-year-old was in his element. He was the man who would not be moved. The man who could not be moved. Fifty arrived in 54 balls and 100 in 114, as a sixth-wicket partnership with Robbie White worth 102 deadened Surrey’s energy in the field and ruined their economy figures. Liam Plunkett was tapped for 4.7 runs per over, Tom Curran for 4.2, Van den Bergh went at 4.1; even Morne Morkel (3.6) looked a little leaky. By the time Ten Doeschate was eighth out, for 130, he had taken his team to within 10 runs of the champions. His teammates in the tail manufactured a lead of 53 which was wiped out come the close. This one is meandering for a draw. I wonder how many of those Mr Wickes has seen these past 80 years.